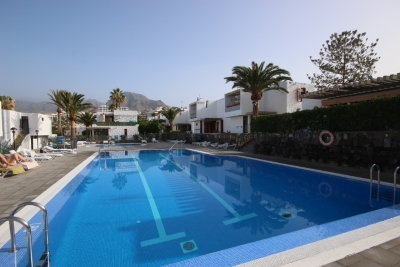 Apartamerica is gated complex, close to frontline in Las Americas, Tenerife. It is next to and almost identical to the Bungamerica complex, and is only a few metres from Monkey beach. It has a communal swimming pool, communal gardens and parking. The complex is an ideal central location, close to the nightlife, restaurants, bars and shops in the resort.